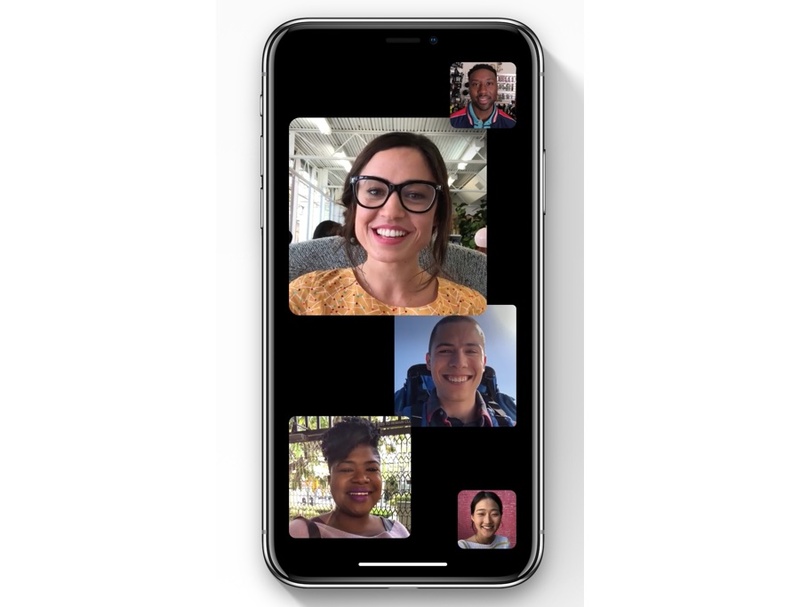 After almost 8 years of launching the FaceTime video calling feature, Apple has today announced that it is bringing group FaceTime video calls to iOS and Mac. This means FaceTime users will now be able to group video call with up to 32 people at the same time. To accommodate 32 people on a single screen, Apple has designed a tile based interface that shows video feeds for up to four people on the main screen while rest of the participants appear in a bar underneath. When someone participating in the group FaceTime call starts speaking his or her tile becomes larger automatically, which helps in highlighting who is speaking. Creating a group video call is quite simple, you can add participants before initiating a call and invite all the people to the call. You can also initiate a group FaceTime call of up to 32 people right from an iMessage group thread. If your iMessage group is already in an active group video call, you also join in whenever you like by tapping on the video call button in the message thread. All participants will need to be on iOS 12 in order to join a group FaceTime call once iOS 12 is made available in the fall.